Connect To Your Network with Edimax! 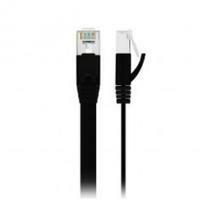 Edimax CAT6 flat patch cables are designed to meet your network requirements. The Edimax CAT6 cabling system provides an End to End solution that provides a guaranteed 500 Mhz of usable bandwidth. Performance rated for 500 MHz bandwidth. Designed in flat cable for narrow space. Category 6 UTP cable wired straight through. 23 AWG pure copper.